Gum over cyanotype on a half sheet of Stonehenge Rising warm white paper. This print is a direct result of a morning of failures last week. My cyan pigment wouldn’t stay on the paper – a combination of two different problems related to two variables I changed simultaneously. After three poor prints I decided I would forego the cyan for the morning and use cyanotype for the base layer to get me started. I miscalculated the amount of cyanotype solution I needed (resulting in the large cyan area around the edges), and an hour of exposure was about a stop shy of what I wanted, but I managed to correct it with a subsequent layer of cyan gum (for which I again changed two variables, but at least it worked). 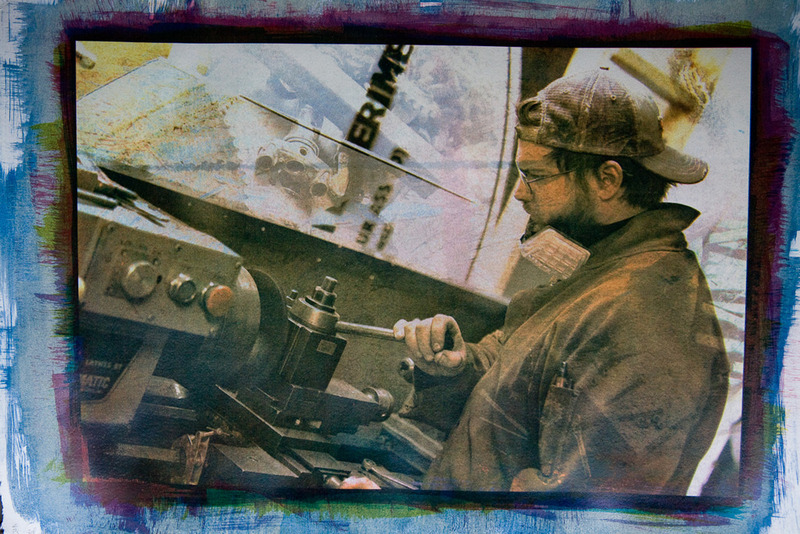 From memory, I believe this was 5 layers of gum (M/Y/M/Y/C) on top of one layer of cyanotype. I seem to be settling in on 6-7 layers per print on this paper.